The use of atomic clock is highly controversial even among the sound engineers. Some say that as long as the DAC has a good clock, it doesn’t really matter as jitter is only a problem at D/A conversion. Well, theory is theory, but when you have a chance to listern to a good master clock at work and pick 100% in a blinded A/B test, you will spend the money. 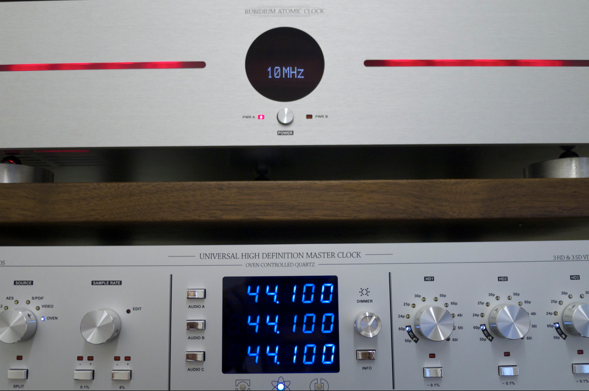 For me, since I am running a few digital component at the same time, I have one more reason – to get synchronized.